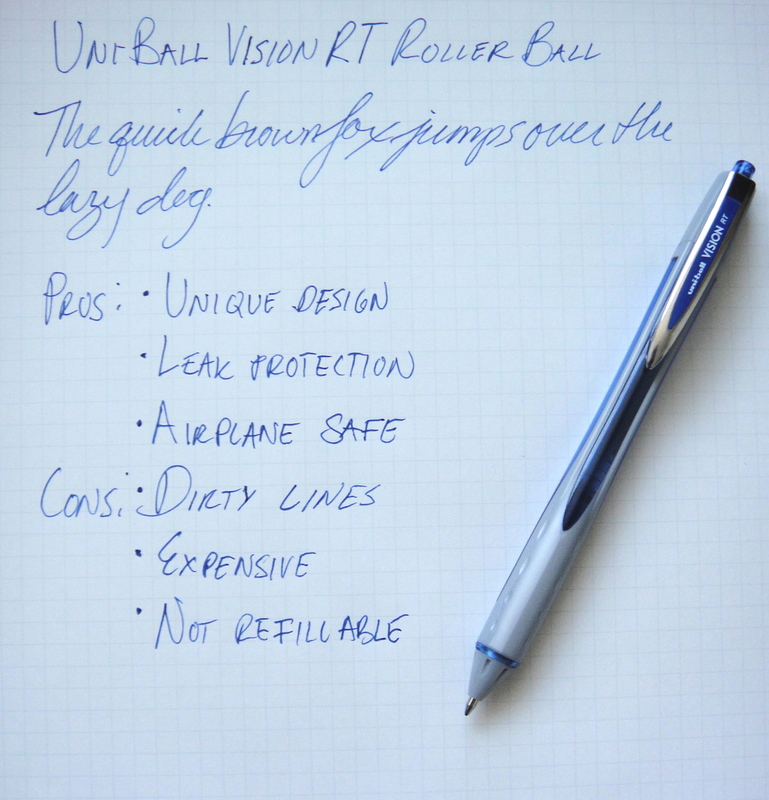 The Uni-Ball Vision RT is a retractable roller ball pen. Uni states that this pen has “triple protection against ink leakage” and is airplane safe. I am not certain what consists of triple protection but it sounds nice. The fine point retracts when you pull on the clip making it a safe for pockets. I quite like the design of this pen; someone clearly put thought into it. 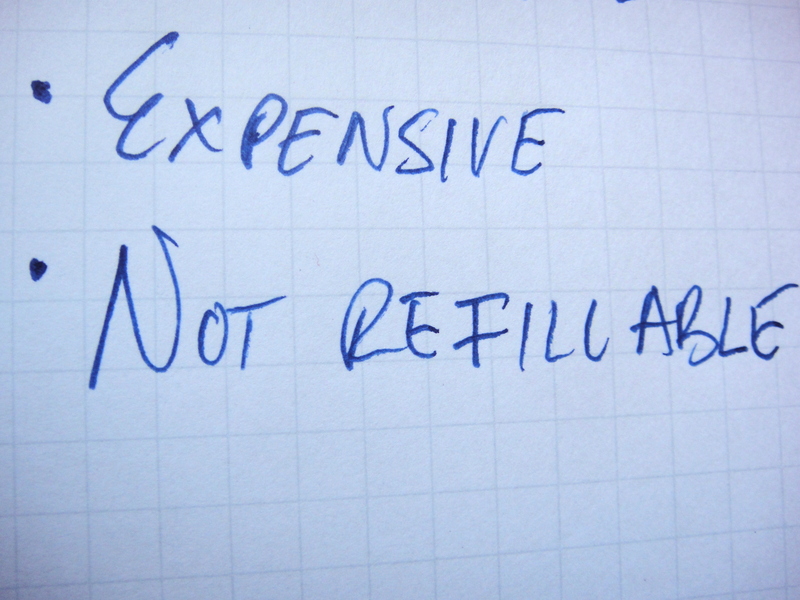 In the writing sample I incorrectly state that the pen is not refillable; it is in fact refillable. When I first used this pen I thought it was a ballpoint because the pen wrote so dryly. “Roller ball” usually means liquid ink but Vision RT feels pasty like an oil based ink. The lines as you can see in the image above are not clean. This is easily the worst writing roller ball I have come across. At a dollar I would say it’s passable but $2.00 is too much for this level of performance. Uni usually makes excellent product but the Uni-Ball Vision RT is a rare miss.